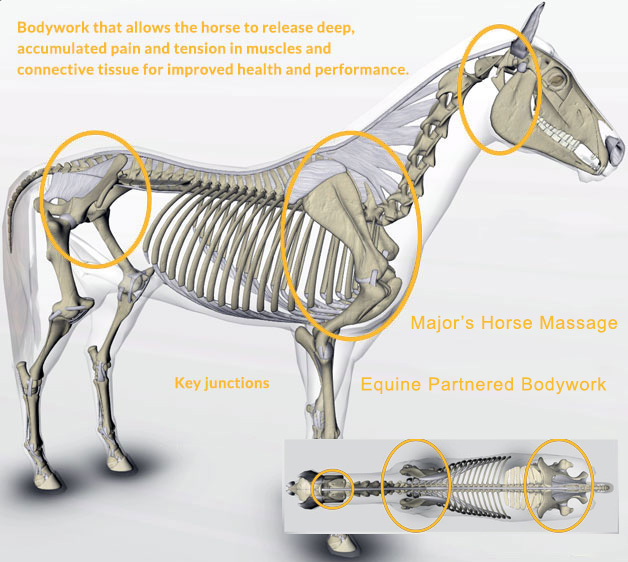 The Masterson Method® is an integrated, multi-modality method of equine massage. It is a unique, interactive method of equine massage in which you learn to recognize and use the responses of the horse to your touch to find and release accumulated tension in key junctions of the body that most affect performance. In contrast to most traditional modalities, it enables the horse to actively participate in the process of releasing tension. It is something you do with the horse, rather than to the horse. This participation and interaction are what make the method fascinating for those who use it. In fact, if you do not allow the horse to participate, it does not work! Collaborative Equine Bodywork! 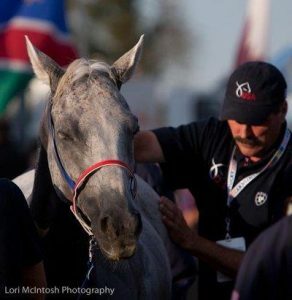 Jim Masterson was the equine massage therapist for the USET Endurance Team from 2006 – 2014, and for competitors in the FEI World Cup, Pan American, and World Games competitions. Click here to see Jim talking about the value of the Masterson Method®. Click here to download a brochure on the Masterson Method®.